Change is in the air. War in the balance. A young man seizes his moment. Before Thomas Devareaux ever set foot on the deck of his airship, his father fought in the defining moment of Confederate history, the battle of Sharpsburg. As the surviving officer of a company in the 3rd South Carolina Regiment, he leads his company into battle while the fate of the Civil War hangs in the balance. 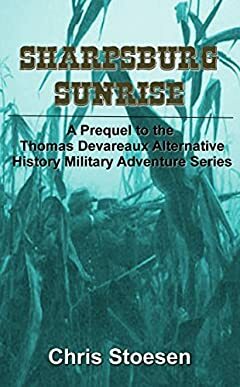 This is the prequel to the Thomas Devareaux Alternative History Military Adventure Series. It follows James Devareaux as he becomes the leader of a veteran company of Confederate soldiers during the Battle of Sharpsburg which was known as Antietam in the North. If you enjoyed the books of the Thomas Devareaux series, check out the prequel that made it all possible. The story is just over 13,000 words in length.